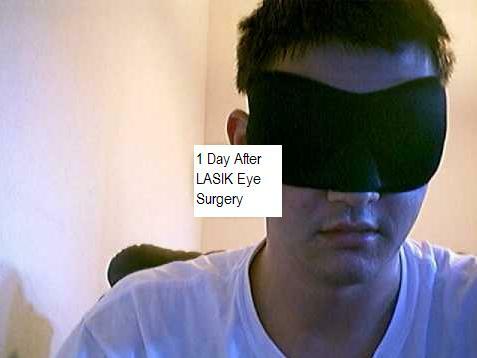 You can read more about my story, and lots of other Lasik long-term results, at the independent website Corrective-Laser-Eye-Surgery.com, a site which shows the good and bad sides of laser eye surgery. Is there a place where I can ask questions or talk about eye Surgery? Click here for my most recent discussions on eye surgery. $4000 and that is with a lifetime guarantee. How did you manage to pay the total cost? I make enough money now to afford the $4000 surgery. What made you decide you were going to get the surgery? It has been something that I wanted my whole life. On May 20, 2010 I had LASIK on my right eye and on June 3, 2010 I had PRK surgery performed on my left eye. Both Surgeries were performed by Dr. Shumake. I was very happy with the results and the outcome over all. Do you think it was worth it now that it is over? Yes! Despite the fact that it cost me a lot of money I cannot think of something else I would rather spend that money on if I did not get the surgery. Having Eye Surgery is part of my life now and I am happy and proud to let others know my story and to encourage others to have the same success as me. I am glad to have had it done by a professional rather than to go to someone cheaper who might have screwed up the surgery or me. Is there any other advice you can give? I hope to encourage and support those going through this tough decision to not be afraid or worry about the procedure.